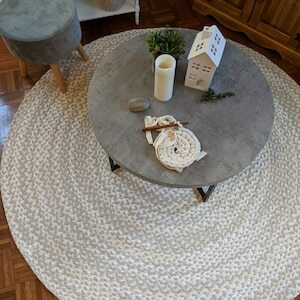 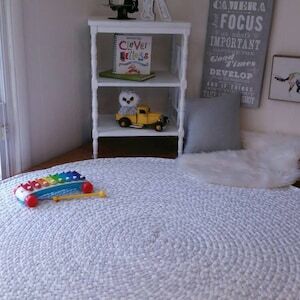 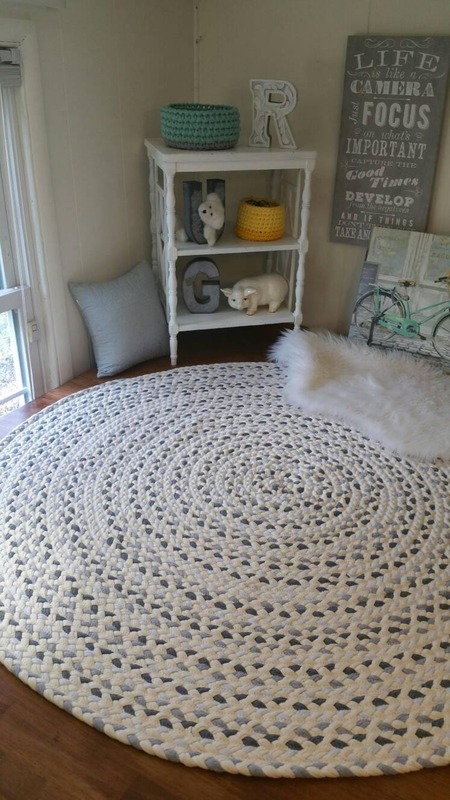 Gray braided rug with white 60"
60" across Gray and white cotton braided rug. 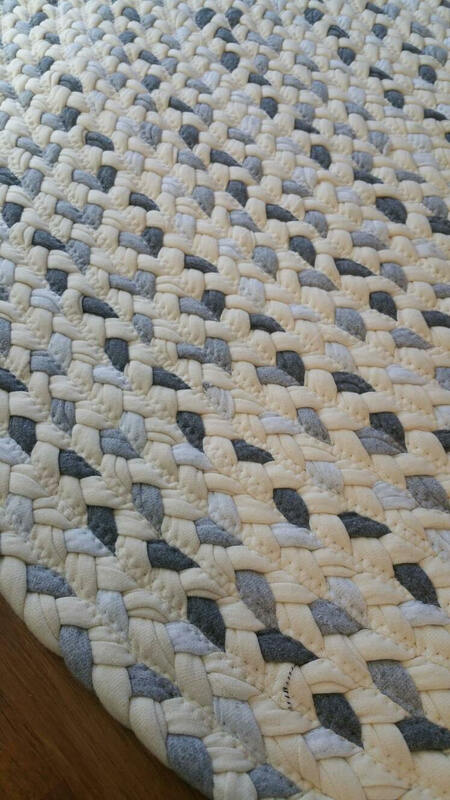 Super soft, both sides usable foe 2 times the wear. 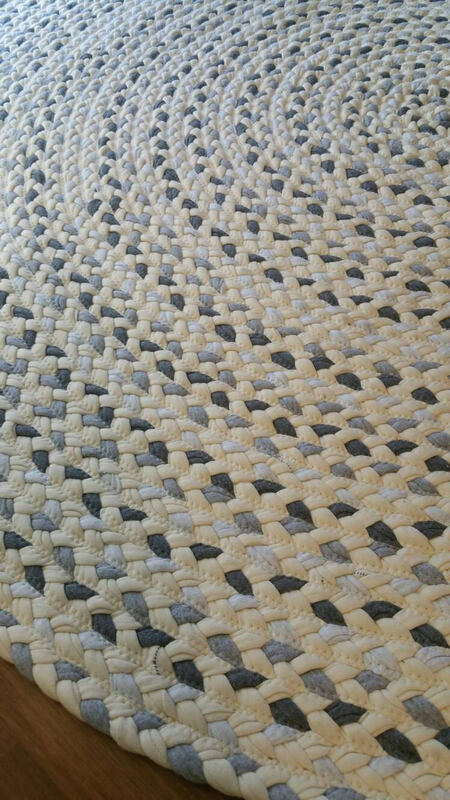 Vacuum clean, machine washable. 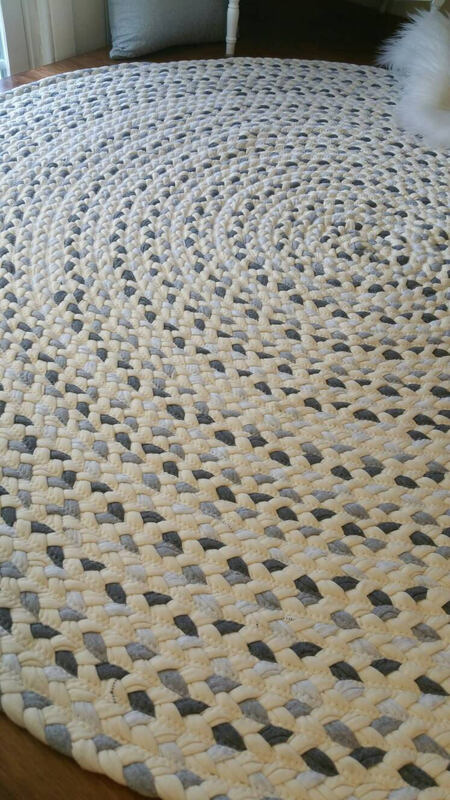 Cotton and cotton poly blend.